The HP OMEN gaming laptop series is available through its exclusive distributor MSI-ECS. If you want your laptop to keep up with how you work and play, the OMEN is up for the challenge. 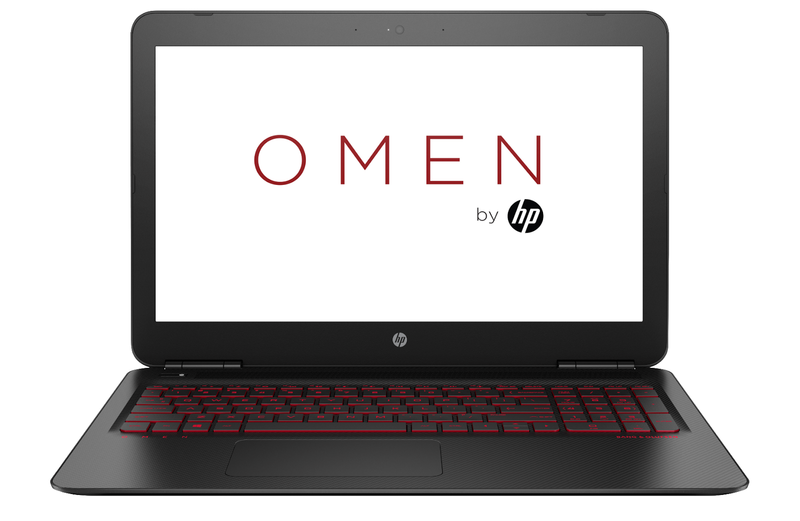 The HP Omen laptop is a gaming PC that combines all three important factors – performance, portability and style. Equipped with powerful hardware and a venomous design to help you rise up to the competition, it’s simply made for winners. Prepare for the next generation of gaming with the new OMEN. It features a quad-core Intel Core processor and up to NVIDIA GeForce GTX 1050 Ti graphics; high-powered hardware that can handle all the demands of the latest AAA games. The standard 128GB solid-state drive (SSD) enables games to load 2-3 times faster than traditional hard drives. It’s meant for you to work harder, train longer, and rise up to any competition. Smooth, fast with incredibly detailed gameplay, the HP Omen’s NVIDIA G-sync technology on select models and an optional 4K IPS display promises no screen tearing and minimized input lag. most games are designed to run in full HD, the HP OMEN offers a 15.6" diagonal, 1080p display -- optimized for smooth frame rates and 72% color gamut shows vivid, rich colors the way games were built to be seen. Sporting a sleek profile and Dragon Red backlit keyboard, the HP Omen is made optimal functionality. The force profile of the keys is made with a crisp and precise feel, the key spacing and travel is optimized for accurate, fast keystrokes. The exceptionally rich audio experience is made possible by the Dual or Quad HP Speakers, HP Audio Boost and custom tuning by the experts at Bang & Olufsen. It’s PC audio perfection. The HP Omen laptop is retailed at Php 64,990. For availability, please contact MSI-ECS at 688-3512 or email marketing@msi-ecs.ph.